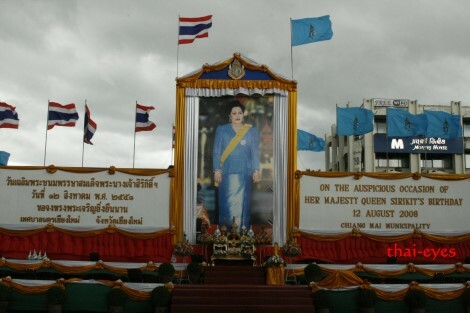 Thailand celebrates Queen’s Birthday as a public holiday. 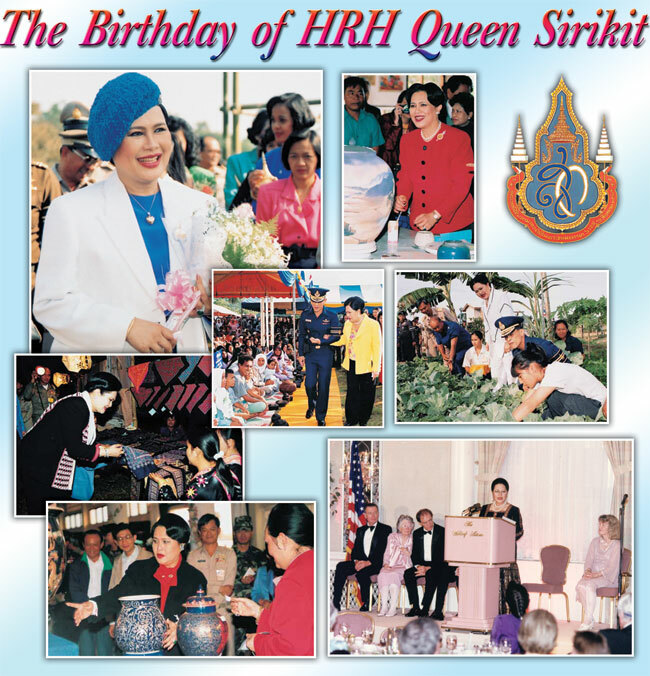 Thailand celebrates the birthday of Her Majesty Queen Sirikit on August 12 every year. This is a public holiday for the people of Thailand. 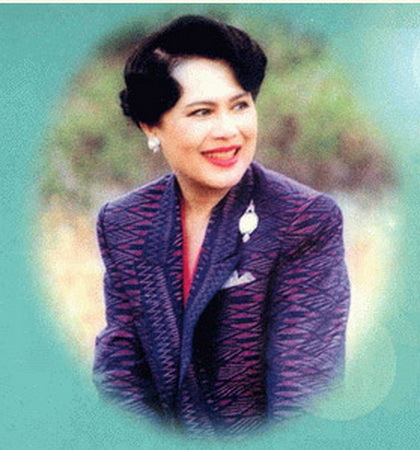 Queen Sirikit is the mother of the nation and thus to pay respect to her and also to all the mothers of Thailand, this day is celebrated as Mother’s Day. 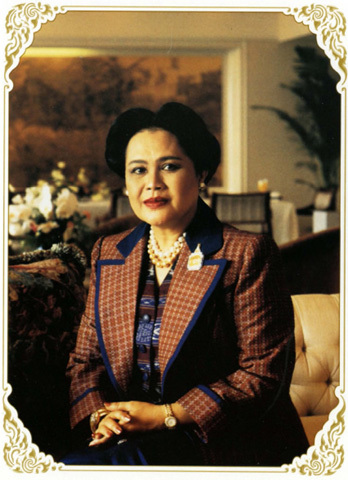 In the year 1932, Queen Sirikit was born to Mom Luang Bua Sanitvongse and Mom Chao Nakkhatra Mangkala Kitiyakara, the Prince of Chunthaburi. Her paternal grandfather was Prince Kitiyakara Voraluksana. 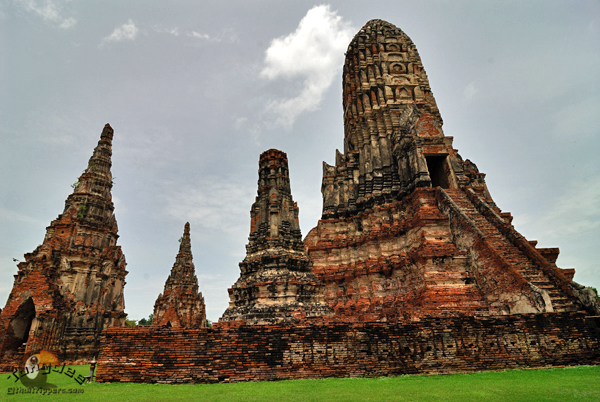 King Prajadhipok gave her the name, which means “the Greatness of Kitiyakara”. When she was at the Kindergarten school, the Pacific war broke out. Bangkok was badly attacked many times during that period. Transportation became unsafe and so she took admission to Saint Francis Xavier Convent School, which was near the palace where she used to stay. At the end of World War II, her father was appointed as Ambassador to various European countries. So she continued her education in Europe at that time. Here, at France, she met the King Bhumibol Adulyadej. He was studying at Switzerland during that time. They became very good friends. Later on, in the year 1948, when the King was driving, he met with a serious accident. Finally, they were engaged in the year 1949 and got married in 1950. She became the Regent in the year 1956 when the king entered a period of service as a Buddhist monk. She took special care of her subjects and worked for their well-being. with her love and affection towards Mankind. 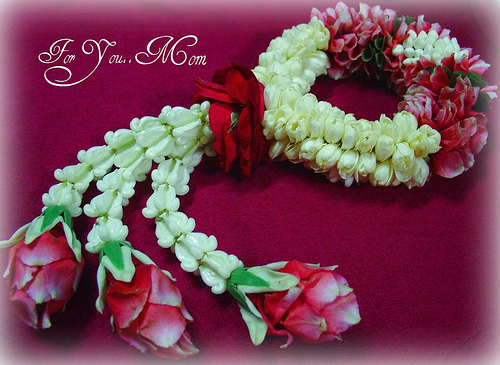 She performed all her duties well and gave special attention to the Thailand’s folk arts and craft. She also founded an institution named SUPPORT in 1976, which includes craft shops in popular tourist areas all over the city. Two Thai Folk Arts and Crafts Training Centers Chitralada Villa and at Bangsai in Ayutthaya are also a part of the institution. Her selfless devotion to her subjects has been appreciated by all. She has tried to cultivate among her people all the values of the Thai culture like the younger people should respect the elders and should also learn to be independent. In Thailand, the Queen’s birthday is more like a festival. It is a national holiday. People decorate the streets and houses beautifully. The main site for the festival in the Ratchadamnern Avenue that lies between the parliament building and the Grand Palace. However, other parts of the country are also ornamented marvelously. All public buildings are illuminated with colorful lights all over. They are also covered with the National Flag of Thailand. The people also actively participate in charitable works. Different portraits of the Queen are hung and people show their respect towards her. People also pray for the long life of their beloved queen. 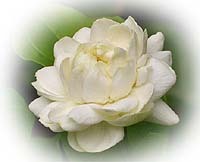 Jasmine is seen everywhere. It symbolically pays respect to a mother, who gives birth to her child. Since this day is also celebrated as the Women’s Day, children give gifts to their Mothers. on this God given day, the day of her Birth, August 12, 1932…. I must also wish HRH The Queen of Thailand a happy Birthday and to live for many more years, more especially; She is sharing the Birthday with my daughter OLGA Matsoha who was born on the 12th of August, 1982. Congradulations to the Queen for being a Servant to Her people, Long live the Queen. Francisca ‘Mapitso Matsoha from the Mountain Kingdom. Our queen’s birthdate is not 14th August but 12th August, could you please urgently correct as advice. If you notice under the wonderful photo, the 12th was in print, as well. How this happened, no idea. Perhaps more than one article was being prepared and the Editor missed the mistake. Once again, please accept our deepest apology.